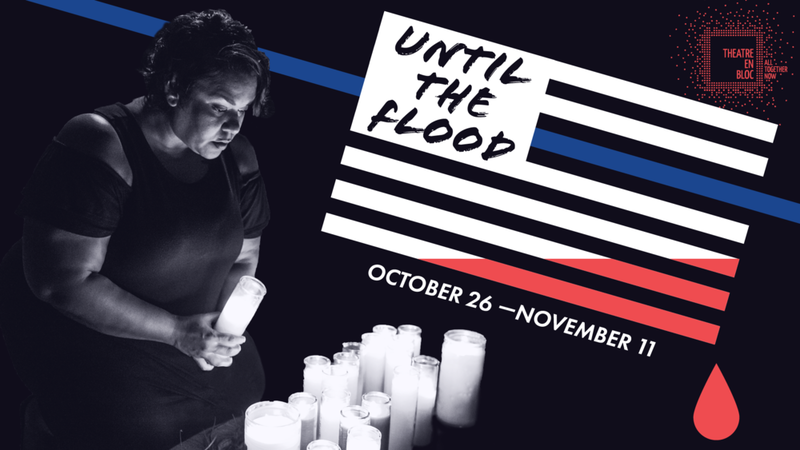 From Pulitzer Prize finalist, Dael Orlandersmith (Yellowman), comes an extraordinary theatrical event that explores the reactions of the St. Louis region to the shooting of Michael Brown in Ferguson, Missouri. After conducting hundreds of interviews, Orlandersmith crafted a stunning play featuring eight real-life characters, all with unique and interesting perspectives. These stories reflect a range of human experiences – the drive to forward one’s prospects with education, the innate need to protect our loved ones from the harsh realities of the world and the urge to seek answers to life’s biggest questions. The result is a theatrical mosaic of diverse voices that explores how a community heals and grows together. Theatre en Bloc is thrilled to present the Regional Premiere of this newly published piece that keeps in-line with our mission to produce quality theatre that is relevant to communities and situations in Austin, TX. There will also be Optional Talk Backs regarding race relations, impacts of trauma on a community, and self-protection following each performance. Featuring Florinda Bryant, in a one-woman powerhouse performance. Florinda is an interdisciplinary artist and arts educator who calls Austin home. As a performer and director she is no stranger to many stages in Austin, having worked with Salvage Vanguard Theater, the Rude Mechs, the Vortex, Paper Chairs and Teatro Vivo. Some of favorite recent performances include Am I White by Adrienne Dawes, The Panza Monologues by Virginia Grise, Bright Now Beyond by Daniel Alexander Jones and Bobby Halverson and Fixing King John adapted by Kirk Lynn. As a writer and poet, Florinda enjoys engaging audiences in explorations around identity, body and community. Her award winning one-woman show Half-Breed Southern Fried was produced as part of the Performing Blackness Series at UT and was directed by Laurie Carlos. As a facilitator and arts educator, Florinda has worked with at risk communities, young men and women, and adults – using performance as a social justice tool for empowerment and change for over 18 years. A member of the Austin Project, sponsored by the John L. Warfield Center for African and African American Studies, UT at Austin. Florinda was also a 2013 Woman of the Year for Racial Justice award recipient from the YWCA. Directed by Jenny Lavery. Production Management by Blake Addyson. Lighting Design by Rachel Atkinson. Set Design by Blake Addyson. Costume Design by Jenny Hanna-Chambers. Photography by Errich Petersen. Producing Artistic Director Jenny Lavery. Radical Rush Free Tickets: Limited free tickets for each performance in the spirit of sustainability, accessibility, and the gift economy. Radical Rush tickets available online and in person while they last. Funded in part by the Cultural Arts Division of the City of Austin Economic Development Department.